How to Use Honey to Heal Wounds? Since decades, honey is utilized for healing cough, hay fever and asthma. However, many people might not know that honey could be used to heal wounds. It is known that honey can be applied directly to the skin for healing the wound, burns, sunburn, etc. Let use read to know how to use honey for wounds. Does Honey Help to Heal Wounds? Few chemicals present inside honey work to kill certain kind of bacteria and fungus. The substance when applied to the skin functions as a barrier to moisture and also allows keeping your skin from sticking to dressings. 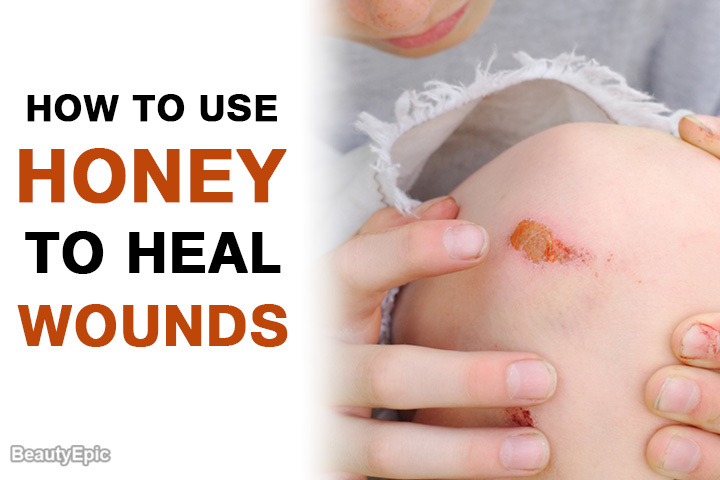 Apart from that, honey may even serve vital nutrients and several other chemicals that enhance the process of wound healing. You can use a cotton swab, clean fingertips or some other sterile instrument in order to directly apply honey to the place of wound, enclosing the area evenly. It is best to apply honey, by using an ounce per 4 square inches of the skin area which is wounded. Honey is very highly concentrated to facilitate any bacterial growth. When it is boiled, its energy increases and it is suitable to heal wounds. First clean the wound area using a soap and 1 cup of hot water. Now pat the wounded area dry till you make sure that there is no moisture left. Now boil 3 tbsp of honey in 1 cup water. 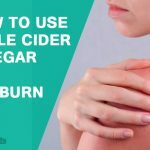 Gently pour the boiled honey directly on the wound. Change the bandage once a day. Boiling honey functions to break down the enzymes which are responsible to make honey bacteriostatic. The aspect is essential to prepare the boiled honey for fermentation into the mead. The moment when the honey is diluted with water, the sugar content gets decreased it prevents the growth of various bacterial species that may lead to wound infections. Tips: While applying boiled honey, make sure it applies into the wound and does not stick just to the surface. Studies carried out of honey suggest that sugar possesses anti-inflammatory properties, it debrides the wound and enhances the growth of epithelial and granulation tissue. 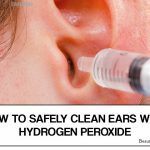 Initially clean the wound region gently, using a soap and warm water. Now make the wounded area dry. Combine 1 tbsp of sugar and 2 tbsp of honey. Now apply the paste on the wound. If the area of wound is huge, take care to cover it using honey first and later sprinkle sugar over the top. This is because honey would assist the sugar stay in place and offer its healing benefits at the greatest. Now cover the wounded area using a bandage instantly and then secure the bandage using a tape. Make sure to change the bandage and then repeat the process once a day. The combination of honey and sugar possesses an osmotic action on bacteria, functioning to remove water from bacteria and thus it weakens them. Besides, your body may be capable to metabolize the sugars and enhance its energy level, assisting to close the wound. It is important to note that sugar healing is actually a slow process, and this can take many months for some serious wounds to get healed. 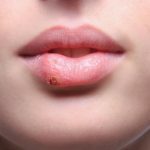 However, a person begin getting positive results soon because the sugar will decrease pain and throbbing inside the wound. Turmeric could be applied to the face or over other portions of your body, affected to wound in order to decrease inflammation and assist with issues of healing. First combine 1-2 teaspoons of ground turmeric (based on how big the wound is) with 1 teaspoon of honey and 1 cup of water to prepare a thick paste. Now wash your hands and apply this paste softly on the wound area. After you have covered the damaged area, put a bandage over the wound. Allow it sit for minimum 12 hours up to 24 hours. Turmeric would not just relieve the inflammation of wound, but even assists in healing in different ways. It is basically a natural anti-bacterial food; hence it will fight against bacteria that are present on the skin during the time you got a wound. Besides, it prevent bacteria from approaching your body through the wound opening. Tips: Make sure that the paste you prepare is pasty and don’t expect it to appear like a cream. Also, you can combine turmeric with coconut oil in place of water to get more healing as well as anti-bacterial benefits. Cinnamon is known to be especially advantageous in treating would and as honey possesses anti-inflammatory properties, the combination works well. Mix three tablespoons of honey with a tablespoon of cinnamon. Now apply this paste on the affected areas and just leave it overnight. If there is less time, just leave it on for around 20 minutes prior washing with water. The two superfoods i.e., honey and cinnamon focus on their power to control inflammation. They fight against free radicals and improve the immune system. It is known that cinnamon assist you to get rid of acne as well as pimples found on the body and face. This is accomplished by drying your skin and conveying proper supply of oxygen and blood to the outer skin surface. Tips: For external applications, it is always a best practice to use cinnamon and honey in a paste form. Butter possesses Butyric Acid which has anti-inflammatory benefits. These properties when combined with healing power of salt and honey, provides lots of benefits to heal the wound. First take 1 tbsp. of Cudweed powder and cautiously grind inside a mortar with half cup of unsalted butter and half cup of honey. Now apply the ointment over the wounded or burnt area. Butter is found to be high in phosphate hence by applying the butter on the wounded area a person can sustain the phospholipids, responsible to make up the blood vessel cell walls and thus avoids bleeding inside the tissue. When used in combination with honey and salt, the ointment stops the infection and offers a natural barrier which avoids entry of bacteria to wounded area. Best time to apply: In night. Tips: Make sure to use fresh butter only. In the treatment of wound, it is best to apply honey with blurred flowers of clover. The clover herb possesses necessary healing properties. Combine ½ cup clover powder with 1 teaspoon of honey. Apply the paste on the wounded area and sit for 10 minutes. Now rinse it off using cool water. How it works: The combination of clover and honey is found to have antimicrobial effects and makes local congestion, increasing the selection of wound secretions as well as lymph fluid. The paste assists to rapidly cleanse the wound. Tips: Make sure to rinse the paste with cool water only. For treating minor cuts and scrapes whose blood flow is in control, apply this soothing remedy by use of honey and aloe vera. Initially combine 1 tablespoon of honey with 1 tablespoon of fresh Aaoe vera gel. Now spread it over the clean wound. The gel of the aloe vera plant possesses anti-inflammatory, antibacterial, and soothing properties, capable to heal wounds. These beneficial properties of natural aloe vera are credited to the mucopolysaccharides, found within the inner gel of the aloe leaf. It is known that the combination of aloe vera and honey boost the effect of pain-relieving properties to the wound. Tips: Make sure to use fresh aloe vera gel only. Different people have different level of tolerance to wound. However, the effect is inflammatory at the initial stage. Hence, it is best to use honey with any of the described ingredients in order to treat the wound at the earliest.